The 2018 ATA show is in the books, and it was honestly one of the best shows in recent years when it comes to items and gear that created lots of buzz in the hunting and bowhunting community. From tools that will make life as a bowhunter better to gear that raised a lot of eyebrows and skepticism, this year’s show delivered in a big way. Here’s a look at the 10 Most Buzzworthy Products of ATA 2018. The Peep-It from Sawtooth Outdoor Products is a peep sight that requires no serving of any kind to hold it securely in place. The Kinex Single Pin sight includes a 2x removable lens and sight light standard. Sitka’s new bow sling features a removable strap, fletching cover and sight cover. Sitka has long been known for their high quality hunting apparel, and for this year they’ve expanded a bit into other accessories. One of those in their new bow sling. Like many slings that have come before, the Sitka sling fully covers both the cams and string of your bow in order to help protect them as you travel in and out of the woods. However what makes this sling buzzworthy is the fact it comes with removable covers for your fletchings as well as your sight. Not only will the fletching cover keep your arrows from getting beat up, it can help keep you concealed as well since most archers opt for brightly colored versions in order to help see their arrow in flight. When not in use both covers tuck securely into the inside of the sling. There always seems to be a lot of buzz about the use of electronics for hunting. How far is too far when it comes to electronics? And while that question may never get answered, we’re pretty sure the new Raven In-Arrow Tracking System is a game changer when it comes to game recovery for your next bowhunt. The Raven In-Arrow Tracking System dramatically improves the odds of recovering your trophy in an ethical, sportsmanlike manner. It is said to be the first in-arrow, long-range tracking system to hit the market. Once your arrow hits the target, it transmits up to a range of 1-5 miles leading to easier game recovery. It’s a pretty slick system, but it will come at a pretty steep price. The basic receiver/transmitter kit is $1,195. NAP Mantis Blinds are available in 2 and 3 hub models. The Xtorsion features layers of stainless steel mesh woven within the carbon. Let’s be honest, sometimes it’s hard to get too excited about the advancements and improvements in arrow shaft technology. Victory Archery managed to stir things up this year with the launch of their new Xtorsion arrow shaft. The Xtorsion is a carbon/stainless steel shaft designed to be a heavy arrow with high kinetic energy for excellent penetration. It features layers of stainless steel woven into carbon, basically creating a carbon/steel wound shaft for increased strength and the ultimate in stability down range. It will bend, yet hold its straightness. The 350 and 400 shafts are 11.8 grains per inch and the 300 shaft is 12.9 grains per inch. The shafts come with a 30 grain aluminum outsert, or you can add their 60 grain outsert for increased FOC. The IQ Define Bow Sight features a built-in laser rangefinder and 5 .019″ pins. As you might expected from a company named, “IQ,” the new Define bow sight from IQ Bow Sights is one of the smartest bow sights to ever hit the market. It is a fixed, 5 pin bow sight with an integrated laser rangefinder built in. It gives you the opportunity to continually know the shot distance on an animal, even if it moves, walking closer or further from you. No more guessing the distance. The rangefinder function is built into the sight window so you don’t have to rubberneck around your riser to check a reading. The sight’s pins are fully contained, .019 fibers. The Define has multiple bow mount positions and provides tool-free windage and elevation adjustments as well as individual pin adjustment. It’s a ton of technology priced at just $349.95. The new NAP Swingfire broadhead was creating a lot of buzz before the ATA show ever got started this year. It’s a really unique concept that’s got bowhunters on both sides of the fence speaking out, both for and against this new head. It’s a 100-grain broadhead with independent pivoting blades to reduce friction loss as the broadhead passes through an animal. This rear deploying head cuts a massive 2-inch entrance hole. It’s said to produce exceptional accuracy with its four extremely sharp blade surfaces that create a monster blood trail for easier game recovery. The head was designed to serve bowhunters and crossbow hunters equally well. The Swingfire’s blades are specifically designed and weighted to never open in flight. It’ll be interesting to see how this one performs on turkey and deer this season. $39.99 for a 3 pack. Primos Surround View Blind – from the outside you cannot see in. But from the inside, you can certainly see out! Step inside the blind and you’ll see that the Surround View Blind offers visibility like nothing else. The talk of the 2018 ATA show, hands down, would have to be the new Garmin Xero bow sight. 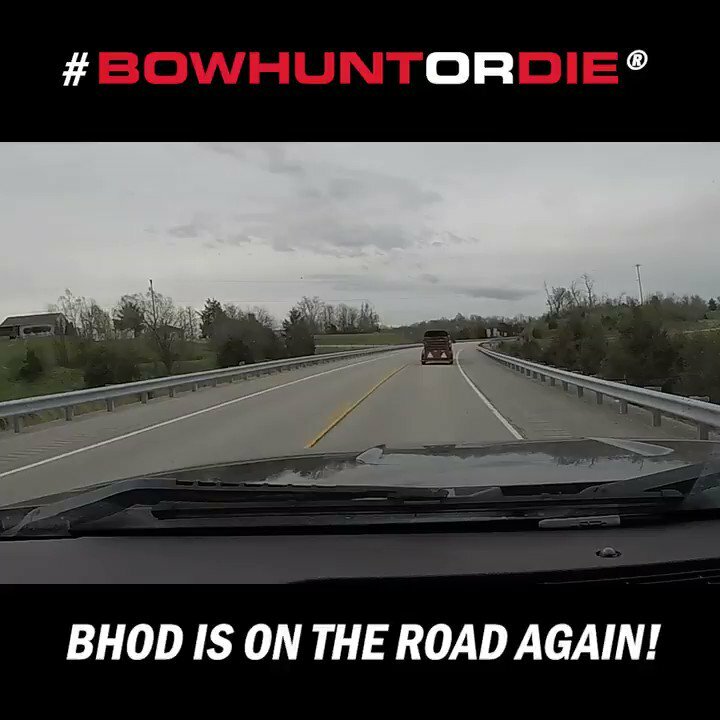 No matter where you went, people were talking about this new bow sight. Some hunters praised it and were excited to try it, while others thought it was far too overpriced and swore they’d never try. Still others questioned whether or not a bow sight like this was taking things too far when it came to technological advancements in bowhunting gear. Seriously, we heard it all when it came to the buzz on the new Garmin Xero. And for those of you that haven’t heard, Garmin introduced the Xero A1 and A1i, two groundbreaking auto-ranging digital laser bow sights that automatically measure the distance to a target and provide a precise, virtual lighted pin for the shot. A silent, single-button trigger mounted on the bow’s grip lets the archer range targets at rest or at full draw, virtually eliminating distance estimation and hunter movement – two of the biggest challenges in archery hunting. The laser rangefinder instantly provides the precise angle compensated distance – up to 100 yards on game or 300 yards on reflective targets. The Xero then projects a precise, virtual LED pin that is only visible to the archer, and without the clutter of multiple physical pins. An ambient light sensor ensures the pin brightness is optimized for various shooting conditions. As you can imagine, the incredible technology built into the Xero won’t come cheap. The two models are priced at $799.99 for the A1 and $999.99 for A1i. We want to hear from you! Comment below and let us know what you think are the best new products for 2018. I’m excited about the range finders built into the sights. But the Garmin costs more than my Husbands or my Hoyt bow. 800. 00 for a bow sight??? Come on!!! That’s crazy!! It’s becoming a rich mans game more so every year!! There’s plenty of quality sights on the market the won’t break the bank and work just fine. Sure, the Garmin has a lot of cool bells and whistles for those who want to spend their money on it, but you don’t NEED one to be a successful bowhunter. Bowhunting only costs as much as you want it to. It’s no different than anything else in life. So true, Justin! I catch my self complaining more than I should! For years, my dad used a home made sight he built with an old sight housing and the cross hair from a horse tail hair. No range finder, he just knew his distance. The Primos SurroundView line starts at $299 for the 180* version. To slap a price tag on it without specifying which model or even adding “Starting at” is a bit of false advertising. States like Colorado don’t even allow you to have the $800 sight for hunting. They don’t allow anything electronic to be mounted on your bow. They just allowed lighted nocks and cameras mounted on your bow last season. You can’t have lighted sights let alone one with a range finder. Besides, my bow only cost $500. The Garmin bowsight is a neat idea, but the aspect of bowhunting that attracts so many is the challenge. All that offseason work, 3D shoots for yardage estimation practice, and time won’t be needed anymore. The time that it took to hone one’s craft is eliminated almost completely. It takes away some of the nostalgia and aura of bowhunting. I don’t really understand the hate for the arrow tracking or Garmin’s sight. There’s lots of bowhunters that bowhunt solely because it’s more time in the woods to hunt. They don’t necessarily do it for the challenge. This is great for them. They’ll be able to take better shots, and hopefully recover more game, what’s the downside to that? If you want a challenge, don’t use ’em. That’s the great thing about bowhunting these days, you can make your own bow, build a string with gut, flint knap your arrows and wander into the woods… Or you can wander into a sporting goods store and leave fully outfitted with all sorts of bells and whistles, and of course you have every option in between. Gimme a break on much of this equipment. All great ideas, but how much is deer or turkey hunting supposed to cost? $1,000 bows, $800 sights, $500 blinds, $50 broadheads, camo for every situation, $400 climbing stands……Really? Like the writer above mentioned, it’s beginning to be a rich man’s game. I love new ideas, but big antlers (not horns) are not worth this kind of money. Trust me, I have hunted danged near all of my life, the fashion show at the club house or ranger station is ridiculous. Plenty of people will disagree with me, but thousands will agree. Agreed, bass fishers don’t flinch at a $30,000 boat. To each his own. $800-$1000 for a bow sight is ridiculous and an insult to bow hunters!! I use a crossbow and kill a lot of deer and had only one bolt that stayed in the deer and that was a straight on front shot, so what good is a Raven In-Arrow Tracking System when it comes to game recovery for your next bowhunt? A crossbow that shoots a 100 yards. should blow straight through a deer or even a bear. The Raven Tracking Arrows is not made for crossbows, so what’s the complaint. As of right now it’s only made for regular arrows. I thought they only made crossbows. I googled Raven bows didn’t see any compound bows buy Raven if they do show a pictures. Ravin makes crossbows. The Raven (with an ‘e’) is the arrow tracking device. It’s like fishing, manufacturers see you coming a mile away. The Garmin site is a great idea. I would love to have one but there is no way that myself or the average person can justify paying that much. It’s price tag is more than what I payed for my bow and I payed $800 for that. I think the Garmin is a great idea, I like the idea of being able to change arrow selection at the touch of a button, I use different arrows regularly and I find it a pain that I need to re-sight every time, or you need a bow for every arrow type, I know it is a little over the top on price, but Garmin need to recover some of the cost for development, if they do that then the price may drop in the future.